For context, this movie is loosely based on the story of real-life NASA Captain Lisa Nowak. In 2007, following her time in space, Nowak drove nearly 1,000 miles from Texas to Florida, armed with a knife and a BB gun, to confront her former boyfriend, astronaut William Oefelein, along with his new girlfriend, Air Force Captain Colleen Shipman. Nowak was arrested and charged with attempted kidnapping. It's very clear that the movie, based on this first footage, is going to take many liberties with that true story and will only resemble the bare bones of what actually happened. This initial footage is very surrealistic and epic in scope. We kick off with Natalie Portman floating blissfully in space before abruptly returning to her life back on Earth. It's clear that she's struggling a bit once she's there, given the newfound perspective she has on the universe. Aside from being rather grandiose, the whole thing feels heavily stylized and certainly appears as though it won't be telling this story in the most straightforward and obvious possible manner. 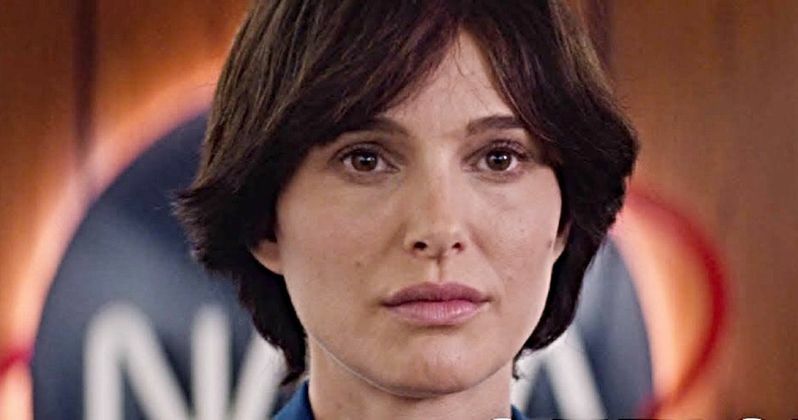 Lucy in the Sky centers on astronaut Lucy Cola (Natalie Portman), who returns to Earth after a transcendent experience during a mission to space, and begins to lose touch with reality in a world that now seems too small. It comes from director Noah Hawley, who makes his feature directorial debut here. Hawley is known for his work on the FX shows Fargo and Legion. So he's done compelling work on the small screen, and that helps explain the style displayed in the trailer, but it will be interesting to see what he can do with a movie. Especially considering this is the guy that Fox had tapped to write a Doctor Doom movie, which will tragically probably never see the light of day.